Junus Kartasubrata and Kornelis Freerk Wiersum are associated, respectively. with the PROSEA project, Bogor, Indonesia. and Wageningen Agricultural University, the Netherlands. Note: This article is adapted, with permission, from a paper prepared for the Tropical Silviculture Workshop at the Centennial Conference of the International Union of Forestry Research Organizations (IUFRO). 1-3 September 1992, Berlin. The original, complete text is published in Wood, Vanclay and wan Razali Wan Hohd (1993). The evolution of silvicultural research in response to changing forest management objectives. Four phases of silvicultural research in Indonesia may be distinguished: i) the teak era (1850-1920), devoted to production for colonial powers; ii) the forest plantations era (1920-1970), which focused on forest plantations for wood production and watershed management; iii) the era of natural rain forest management (from 1970), where attention turned to silviculture for sustained timber production from natural rain forests and involved an approach integrating silvicultural and harvesting techniques; and iv) the era of community forestry development, which started at the end of the 1970s and involved rural people in the management of local forest resources. Consequently, much attention is given to production systems and tree species preferred by villagers, whether growing on private land or on forest lands. These silvicultural systems are characterized by an uneven-aged, multispecies composition and may also include combinations of trees and agricultural crops. The four phases of silvicultural research are described in respect to: the assumptions on which they were based and the responsibility for silvicultural management; issues concerning forest resources and silvicultural practices; and the methods and principles used to examine these issues. During the first phases, research attention focused on assessing new silvicultural practices but, during the recent community forestry era, the application of new practices by forest managers also was evaluated. This brought with it important changes in research methodology, with research being carried out in cooperation with local people rather than by forest researchers in isolation. The appointment of the first colonial foresters in 1849 not only represented the start of state-controlled professional forestry in Indonesia, but may also be considered the start of systematic efforts to improve the cultivation of timber trees. At first, silvicultural experimentation took place in an informal manner in conjunction with practical efforts to improve forest management. An official forest research institute was founded in 1913 and developed in subsequent decades into one of the main centres for forestry research in the tropics. 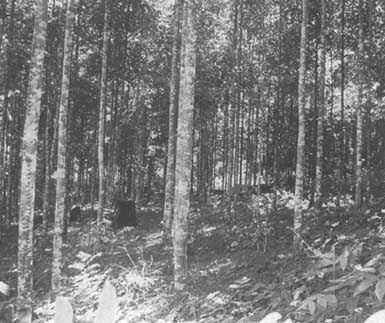 In accordance with the prevalent forest policies, silvicultural research first focused on teak cultivation. Until the 1970s most silvicultural research focused on plantation forestry as the main silvicultural model. Research work concentrated on establishment and maintenance practices, including artificial regeneration, weeding, thinning and protection against pests and diseases. The research focused strongly on the influence of biotic and abiotic elements on the growth of commercial tree species. 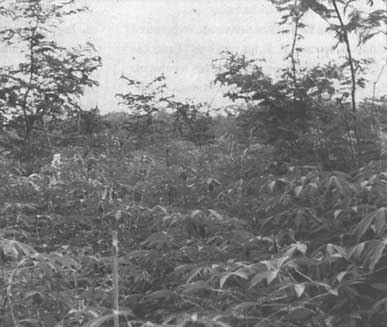 Although the possible effects of nurse crops and shade trees on the timber trees did receive some attention, mixed stands were generally considered too complex and too costly (Van Alphen de Veer, 1953) and, consequently, most silvicultural research focused on monoculture plantation forestry. The state of silvicultural knowledge as it existed in Indonesia at the end of the 1940s is reflected in the silvicultural textbook by Beekman (1949). More than 60 percent of the text in this book is devoted to silvicultural descriptions of four important commercial tree species: Tectona grandis, Altingia excelsa, Pinus merkusii and Eusideroxylon zwageri. Since then, much information has been collected on additional species and important advances in the field of plantation forestry have been made, for example in tree breeding (Soerianegara, 1974) and symbiotic relations between trees and micro-organisms (e.g. Smits, 1983). However, most research on plantation silviculture still seems to focus on monocultures notwith-standing the fact that, since 1950, concern has been voiced about their potential impact on soil properties and resistance against pests and diseases (Steup, 1955). The decision in 1966 to exploit the rain forests on other islands marked an important new phase in silvicultural research. Attention focused on natural forests and, rather than concentrating only on artificial regeneration, attention broadened to include techniques to stimulate natural regeneration of desirable tree families, for example Dipterocarpaceae. A new principle emerged: harvesting was not considered purely as exploitation but also as an important silvicultural practice. Research began to dedicate special attention to competition between tree species and synergistic relations between trees and other ecosystem components (Soerianegara, 1973; Soerianegara and Kartawinata, 1985; Smits, 1983). During the community forestry era, silvicultural research shifted again to focus on production systems and tree species preferred by villagers, both on state forests and on private farmlands, and including timber, fruit-tree and multipurpose tree species. It was gradually realized that many farmer-managed indigenous silvicultural systems are present in Indonesia. Many of the indigenous silvicultural systems preferred by local people are characterized by mixed tree stands and/or their integration with agricultural crops because they can provide a multitude of useful products for household needs, ranging from fuelwood and construction wood to edible products for people and livestock and medicinal products. Furthermore, these mixed plantations provide protection against production losses resulting from pests, disease and unfavourable weather. The silvicultural significance of these indigenous silvicultural systems is now being recognized (Wiersum, 1980; Michon and Bompard, 1987). Several studies have described the silvicultural characteristics and dynamics of these systems (Wiersum, 1982; Weinstock, 1983, Berenschot, Filius and Hardjosoediro, 1988) but efforts to adapt them further or to develop analogous systems through silvicultural research have started only recently (Kartasubrata, 1990; 1991; Bratamihardja, 1990). As the repertoire of silvicultural practices is augmented with agroforestry practices, several research methods from crop science are being incorporated in silvicultural research. Obviously, many research questions deal with the interaction of different species (both tree and agricultural crop species) and how to guide silvicultural processes in uneven-aged, mixed-species plantations. In addition to this broadening of silvicultural research topics, it seems that the new focus on community forestry may ultimately have important repercussions on a more general level of research methodology. The important changes in silvicultural research methodology that are emerging at present in response to the organizational setting of community forestry may be illustrated by the history of research on taungya cultivation in Indonesia. Taungya, the temporary intercropping of food crops by local farmers in young forest plantations, is a common technique in Indonesia. It was first used in the 1870s to establish teak plantations in Central Java and subsequently became widespread. During the twentieth century it was used to establish plantations of Pinus merkusii, Agathis dammara, Altingia excelsa and Swietenia macrophylla. · help address local shortages of good agricultural lands. In the 1970s, the possibility of improving the crop component of the taungya system was considered (Kartasubrata, 1979; Wiersum, 1982). Efforts began to be made to achieve a better balance between the needs for local community development and efficient timber production for commercial needs. Taungya cultivation was intensified through the introduction of high-yielding crop varieties, fertilization and crop protection measures coupled with improvements in land preparation and soil tillage. Improved cropping practices increased dryland rice production from 700 to 1000 kg per hectare to 2 000 to 3 000 kg per hectare, with similar increases in maize production. Tree growth also profited from the fertilization. Later studies looked also at the possibility of increasing the spacing of timber trees to lengthen the cropping period. The intensified taungya practices proved to be profitable to both farmers and the forest service and, in 1990, the system was applied on 75 percent of the total reforestation area on Java (Simon and Wiersum, 1992). Notwithstanding the widespread acceptance of intensified taungya cultivation, this silvicultural practice has not solved the problems of high population pressure on the Javanese forest areas. Consequently, a new silvicultural practice called "full-rotation agroforestry" is now being tested. The practice is based on the principle of intercropping during the full plantation cycle from planting to harvest. The agricultural crops that farmers are allowed to plant are not restricted to annuals but include fruit-trees and multipurpose trees for up to 20 percent of the stand. The most effective combination depends both on site conditions and the kind of timber species present and on the socioeconomic conditions of the farmers who are in charge of managing the intercrops. To ensure effective progress in developing locally adapted systems, important new approaches in silvicultural research methodology have been developed (Kartasubrata, 1990; 1991), including: location-specific silvicultural trials based on diagnostic surveys; the involvement of farmer groups in the management of experiments rather than relying on researcher-controlled conditions; and the evaluation of experiments on the basis of both quantitative production data and qualitative information on farmers' opinions. The diagnostic survey forms an essential part of the research methodology. The purpose of the survey is to permit trials to be planned on the basis of location-specific problem identification instead of on generalized scientific problem identification. The objectives of the survey are: to assess the benefits enjoyed by villagers from the forest as well as local opinions about how these benefits could be improved in a sustainable manner; to understand the social dynamics that underlie the differential needs of various forest user groups; and to discover existing indigenous forest management and utilization practices. The findings of this survey serve as a basis for designing actual field trials at different experimental sites. Farmer groups are established to facilitate the design and management of these trials. The purpose of these groups is not only to promote cooperation between researchers and local farmers but also to stimulate self-reliance of the farmers in forest management and community development activities. Quantitative data are collected on the survival and growth of both forest trees and agricultural crops under different conditions of tree spacing, fertilizing and pruning and thinning regimes as well as on erosion rates. Additional data is collected on why farmers elect or decline to participate in the experiment (e.g. in relation to the socio-economic status and functioning of farmer groups) (Kartasubrata, 1990; 1991). Emergence of a new paradigm for silvicultural research? As discussed above, conventional silvicultural research in many parts of the developing world proceeded on the assumption that actual silvicultural management would be carried out by a professional forest service and under state control. State control over forest areas assured large management units in which management practices could be applied over relatively large areas. Consequently, silvicultural research could proceed from a well-established body of professional knowledge and a general understanding of the objective - greater production of commercial products at acceptable costs and without undue deterioration of site productivity - as well as watershed and soil protection. These basic assumptions remained intact, even when studies were extended from forest plantations to natural forests. However, within the context of community forestry these assumptions are no longer valid. Much of the new silvicultural research can only partially be built on knowledge gathered through "traditional" formal scientific methods. In contrast, much information on the feasibility of uneven-aged, mixed-species tree cultivation systems is stored in the empirical knowledge of people using existing indigenous forest and agroforestry management systems. Therefore, silvicultural research within the context of community forestry must combine scientific and indigenous empirical knowledge. The use of forest management systems by indigenous populations is often very location-specific. The identification of possibilities for improved techniques should therefore be based on a location-specific problem analysis rather than on general scientific problem identification. Thus, it is necessary to carry out diagnostic surveys and collect information on the presence and functioning of indigenous silvicultural practices as well as on forest management problems perceived by local people. Second, not only does the knowledge base for research change, but the objective for silvicultural management may alter. Local communities often have different objectives from professional foresters in managing forest resources; for example, they may wish to optimize production of multiple products for subsistence use (including many non-wood forest products) instead of maximizing production of industrial commodities, or they may manage forests primarily as an input for their farming enterprises rather than for the direct production of tangible end products. These objectives may vary according to the socioeconomic and cultural status of a community. There is therefore a need to specify the objectives of management carefully, taking into consideration the views of all those involved, and to develop appropriate forest management plans and silvicultural regimes based on these objectives. The changed context of silvicultural research requires adaptations in planning, design and evaluation methods. The importance of carrying out diagnostic surveys was mentioned earlier. Experimental designs should recognize the different management objectives of the local forest managers and their preferences for species mix, planting configurations and maintenance techniques. Due consideration should be given to the fact that a farmer's opinion regarding the performance of a system is usually not based on the performance of a single component but rather on the overall system performance. Consequently, it may not be appropriate to test differences between treatments by a factorial analysis of production characteristics, as is usually done in conventional silvicultural research. Rather, it may be more useful to evaluate trials according to assessments of villagers' perceptions of the usefulness and practicality of systems and techniques. Such new approaches to the design and evaluation of silvicultural trials seem to have the-best chance of success when studies are carried out in cooperation with local managers rather than by silvicultural researchers in isolation. To adjust the experimental situation to the practical setting, it may be necessary to carry out studies under farmer-controlled conditions rather than under researcher-controlled conditions. Indonesia has a silvicultural research history of more than a century. Important changes in the nature of this research have included the change from even-aged monocultures to natural forests and multispecies, uneven-aged forest plantations and agroforestry systems. This evolution in the nature of the object under study has had important repercussions on the choice of silvicultural techniques to consider as well as the ecological models on which studies have been based. For a long time, research in much of the tropics, including Indonesia, was defined by she assumption that silvicultural management could only be carried out by professional foresters and under state control over forest lands. These assumptions focused; at-: tension almost exclusively on developing efficient techniques for the production of timber and other industrial products (reflecting the view of the time, when "development" was seen as being synonymous with "industrialization"). Since the end of the 1970s this view has gradually started to change and the research focus has also been directed at forestry systems providing (subsistence) products for local villagers, with management responsibility in the hands of local communities and private farmers. These new assumptions about the scope of silvicultural management have brought important changes in the general research approach. Originally, research was based exclusively on scientific knowledge carried out under scientist-controlled conditions and it focused on the technical feasibility of silvicultural practices based not only on scientific research but also on the empirical knowledge of indigenous people. Studies are often based on a combination of scientific: and indigenous knowledge, with experiments carried out jointly by researchers: and local people. The end goal is to develop silvicultural techniques permitting sustainable forest management that satisfies multiple objectives. Berenschot, L.M., Filius, B.M. & Hardjosoediro, S. 1988. Factors determining the occurrence of agroforestry systems with Acacia mearnsii in Central Java. Agrofor. Syst., 16: 119-135. Boomgaard, P. 1992. Forest management and exploitation in colonial Java, 1677-1897. Forest Conserv. Hist., 36: 4-14. Bratamihardja, M. 1990. Agroforestry on forest land in lava. In Agroforestry systems and technologies. BIOTROP Special Publication (Bogor). 39: 141-146. Kartasubrata, J. 1979. 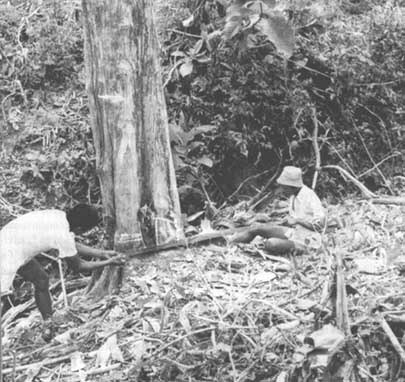 Tumpangsari method for establishment of teak plantations in Java. Trop. Agric. Res. Rep. (Japan), 12: 141152. Kartasubrata, J. 1990. Research support to community forestry projects on forest land in Java, Indonesia. In M.E. Stevens, S. Bhumibhamon & H. Wood, eds. Research policy for communitty forestry in the Asia-Pacific region. p. 227-236. Proceedings of a seminar. Bangkok, RECOFTC. Kartasubrata, J. 1991. Planning and implementation aspects based on some successful agroforestry projects in Indonesia. In W. Mellink Y.S. Rao & K.G. MacDicken, eds. Agroforestry in Asia and the Pacific, p. 232-250. RAPA Publication 1991/5. Bangkok, FAO Regional Office for Asia and the Pacific and Winrock International Institute for Agricultural Development. Michon, G. & Bompard, J.M. 1987. Agroforesteries indonesiennes: contributions paysannes a la conservation des forêts naturelles et leurs ressources. Revue d'Ecologie (La terre et la vie), 42: 3-37. Simon, H. & Wiersum, K.F. 1992. Taungya cultivation in lava, Indonesia: agrisilvicultural and socio-economic aspects. In C.F. Jordan, J. Gajasein & H. Watanabe, eds. Taungya: forest plantations with agriculture in Southeast Asia, p. 101-111. Sustainable Rural Development Series No. 1. Wallingford, UK, CAB International. Smits, W.T.M. 1983. Dipterocarps and mycorrhizae, an ecological adaptation and a factor in forest regeneration. Flora Malesiana Bull., 36: 3925-3937. Soerianegara, I. 1973. Ecological researches relevant to current silvicultural problems. Rimba Indonesia, 17: 133- 142. Soerianegara, I. 1974. Forest tree improvement in Indonesia. In R. Toda, ed. Forest tree breeding in the world, p. 146-153. Tokyo, Government Forest Experiment Station. Soerianegara, I. & Kartawinata, K. 1985. Silvicultural management of the logged natural dipterocarp forest in South-east Asia. In J. Davidson, Tho Yow Pong & M. Bijleveld, eds. Future of tropical rainforests in South-east Asia. Commission of Ecology Papers, 10. Gland, Switzerland, IUCN. Van Alphen de Veer, E.J. 1953. Problems of tropical silviculture in rain forest areas of Indonesia. Tectona, 43: 88-96. Weinstock, J.A. 1983. 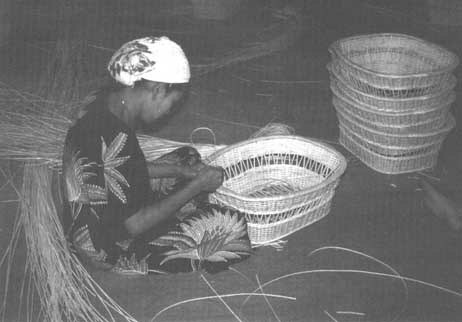 Rattan: ecological balance in a Borneo rain forest swidden. Econ. Bot., 37: 312-322. Wiersum, K.F. 1980. Possibilities for use and development of indigenous agroforestry systems for sustained land use on Java. In J.I. Furtado, ed. Tropical ecology and development, p. 515-521. Kuala Lumpur, International Society of Tropical Ecology. Wiersum, K.F. 1982. Tree gardening and taungya on Java: examples of agroforestry techniques in the humid topics. Agrofor. Syst., 1: 53-70. Wood, P., Vanclay, J. & Wan Razali Wan Hohd, eds. 1993. In Proc. Tropical Silviculture Workshop at the IUFRO Centennial Conference in Berlin. Kuala Lumpur, Forestry Research Institute of Malaysia.